Because improvisation is a big part of what we do, we were nervous about finding the right studio engineer. Fortunately, we were introduced to Scotty Jacoby, the owner of Eusonia Studios. 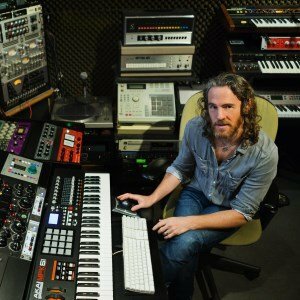 In the past 15 years, he’s worked with everyone from John Legend to Cold Play and even won a Grammy award. We were lucky that he agreed to work with us and surprised by his humble and patient nature. He took his time in answering our many questions and his depth of experience and vision as an artist really helped during the recording and mixing process.